More than 97% of seventh graders across the state are up-to-date on their measles vaccinations according to numbers released by the Ohio Department of Health. The figures comes amid a health emergency in New York after almost 300 cases of measles have been reported in Brooklyn. 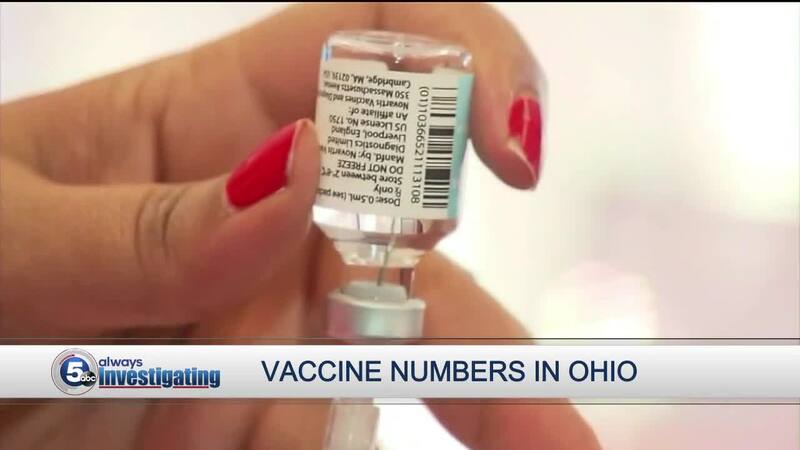 CLEVELAND — More than 97% of seventh graders across the state are up-to-date on their measles vaccinations according to numbers released by the Ohio Department of Health. The figures comes amid a health emergency in New York after almost 300 cases of measles have been reported in Brooklyn. Since 2013, there have been 384 cases of measles reported in Ohio, all but two of those cases came in 2014 when the state saw an outbreak of the virus, largely in the state's Amish communities. Ohio does require students in both public and private schools to get two doses of the measles vaccine. Exceptions are allowed for medical reasons or for "reasons of conscience," including religious objections. 5 On Your Side Investigators broke down the numbers for six Northeast Ohio counties. Lorain County had the highest percentage of seventh graders vaccinated against measles and Summit County had the lowest percentage of the six counties. Despite the high percentages, state records show nearly 1,200 students in those six counties either missed at least one dose of the vaccine or had no record of the immunization on file this school year. The percentages do not include a handful of schools in each county with fewer than 10 students enrolled in seventh grade. The state does not release those numbers citing student privacy.